Alloy Yachts has successfully delivered its latest ketch to her new owners. At 56.4-metres, Mondango 3, is an arresting yacht which is drawing attention for all the right reasons. 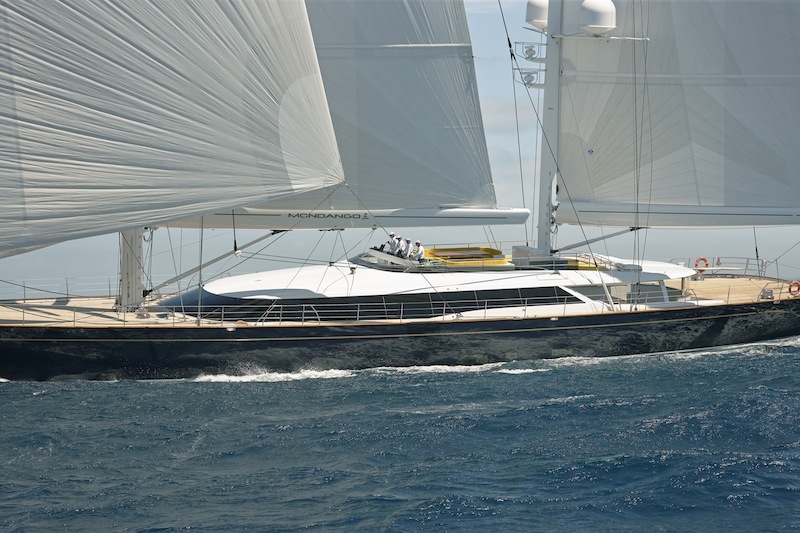 The project was the second collaboration between her owners and the yard, and features the signature elegant lines of Dubois Naval Architecture. Her owners are experienced sailors who needed a yacht fit for their blue-water cruises around the world, and which would also make a successful charter vessel. With Mondango 3, Alloy Yachts have achieved that and more. With an 11-metre beam, Mondango 3 provides plenty of space to move, though that size is balanced with a swing centreboard which allows for shallower anchorages in the remote bays she’ll cruise to. With the centreboard raised she draws just four-metres, and lowered, 11-metres, allowing for an uncompromising performance when underway. That performance is thanks in no small part, to North Sails and Southern Spars, responsible for the yacht’s sails, mast and rigging respectively. Exterior spaces have are maximised, with an aft deck spa pool, well-appointed seating spaces and a 10 seater dining table. The flybridge houses the helm station, allowing good visibility when underway and freeing up the cockpit for an additional dining space and seating area. On-water access comes via the transom which folds down to create a swimming platform and tender dock. The ketch beautifully-showcases the skill, workmanship and capability of our marine industry and is a testament to Alloy Yachts’ ability.